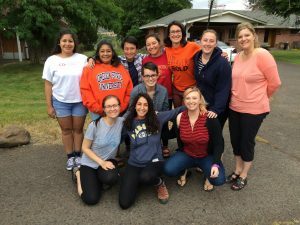 June 2016 Alternative Break program participants at Warm Springs, Oregon. Photo: Ashlei Edgemon. Designed to meet various community needs, Alternative Break trips meet community needs while providing compelling learning and civic leadership development opportunities for students. In June 2016, nine students and one staff member worked with the Warm Springs Extension Office and nine community partners on several environmental, cultural, and health and well-being projects during a week-long Warm Springs-based learning trip sponsored by OSU’s Center for Civic Engagement. 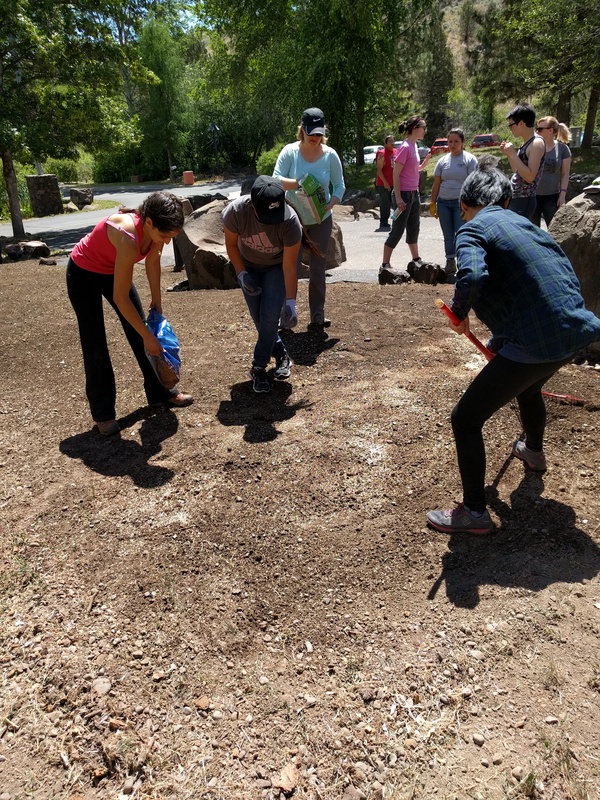 The students participated in community-based service learning to gain increased cultural understanding and intercultural connections, complete projects that met community-identified needs, and explore policy issues impacting the Warm Springs community. In total, the group contributed 78 service hours and participated in 176 educational hours. Projects included assisting in landscaping work, invasive species removal, and grass planting. Through educational sessions, community events and direct service work, the group explored cultural programming and events, tribal policy and governance, community services and resources, education, healthcare, and hydroelectric energy that all impact the cultural preservation and celebration and health and well-being of the Warm Springs area. Clearing ground and planting grass seed at the Museum at Warm Springs. Photo: Julianna Cooper. Educational sessions covered a wide range of topics related to tribal life, challenges, and solutions. 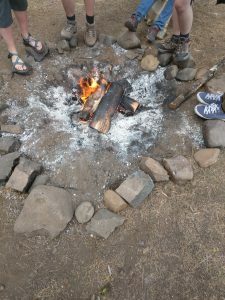 The group discovered various factors impacting community health and well-being in Warm Springs by exploring elements of food sourcing, tribal ceremonies, community and cultural activities, and outdoor recreation. The group visited extensively with faculty and staff at the Warm Springs Extension Office to learn about the services and programs put on by OSU Extension for the community and the role of OSU Extension in the Warm Springs community. Students also learned about Native traditions, customs, the history of the Warm Springs, Wasco, and Pauite tribes and the Treaty of 1855 through their conversations with tribal members and visiting the Museum at Warm Springs. 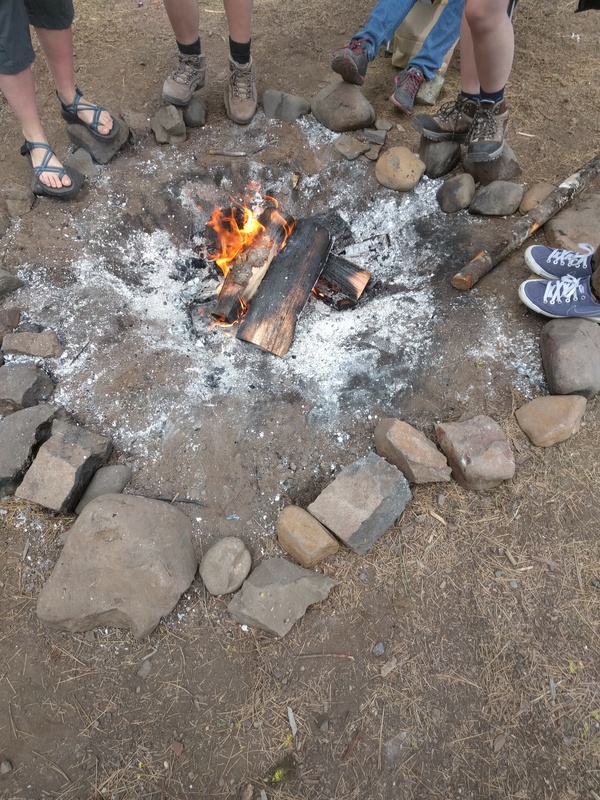 By spending time with tribal members, trip participants explored and learned about the tribal customs and issues impacting tribal communities today through personal narrative and story sharing. 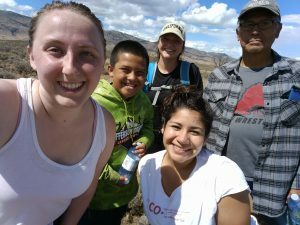 OSU units, tribal government agencies, and local nonprofits are all a part of this program to co-create environments for students to learn about social issues and contribute to addressing community needs each year. Partnerships are foundational to this program, the content is cross-disciplinary (public health, ethnic studies, environmental science, education), and the result is transformational learning for OSU students. The Warm Springs Student Alternative Break Program will receive a Vice Provost Award of Excellence on April 17, 2017. Posted in Community Outreach, Partnerships.